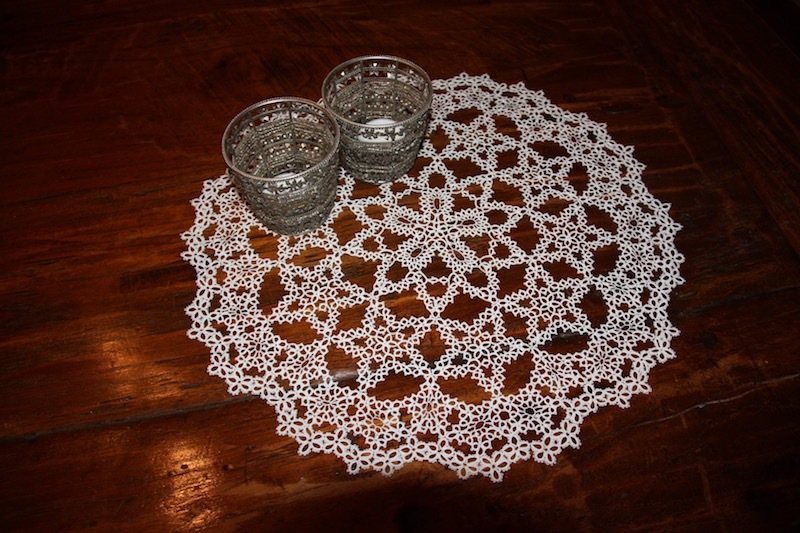 This is a doily based on a so-called fractal pattern, where I took pentagons scaling them down towards the perimetry of the lace. The center pentagon however caused too much open space, so I made it a decagon. After finishing it, I added some needle lace fillings inside some of the elements. This one is done in DMC Special Cordonnet No. 50. and has a diameter of 38 cm (15 inch).